Guides and tips to eat more plant-based. OMD: Your Plant-Based Support System. Ready to swap at least one meal a day with something plant-based? Leaving meat and dairy off the menu can feel like a challenge in a world where we’re inundated with bacon-wrapped-everything and gratuitously gooey videos of hamburgers all over our social media feeds. 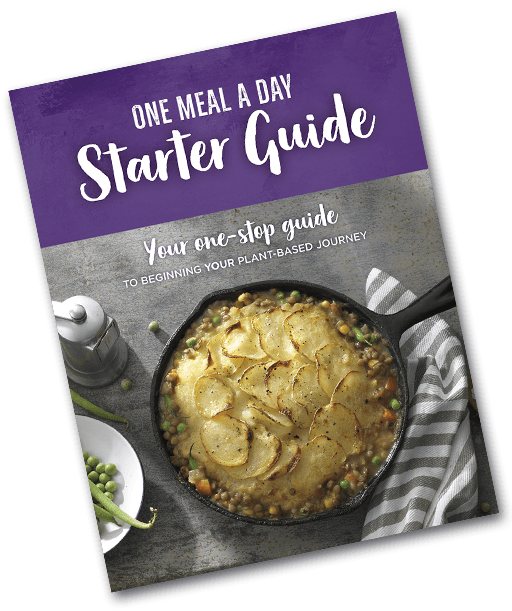 Change can be hard, and that’s ok.
To help, OMD has created some step-by-step guides and other plant-based lifestyle resources for you to feel supported in trying to eat at least one plant-based meal a day. Ready to get started? Dive on in! Eating plant-based is about abundance. By leaving meat and dairy off your plate, you’re giving yourself the opportunity to get adventurous with food. Think about it as a trip around the world. Now that you’re taking a vacation from philly cheesesteak town, you can give yourself permission to explore new cuisines you might have never tried before — like Indian, Thai or Ethiopian. For tips like this and more, sign up for our newsletter, The OMD Beet, to get instant access to the Starter Guide today. Knowing what staples to get for a plant-based kitchen can leave people stumped. 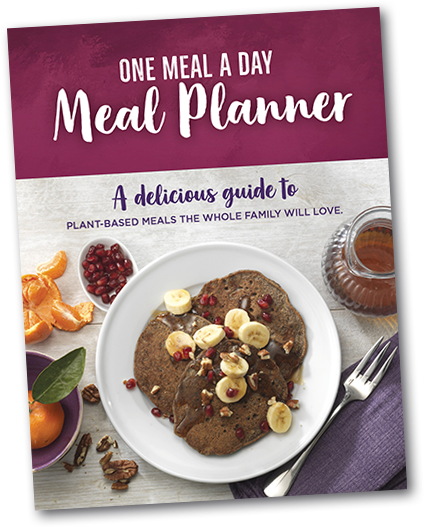 To set yourself up for success, some preparation is required, but that’s why OMD is here to be your partner in your plant-based journey. That’s why we created this handy shopping guide to help you navigate your local grocery aisles. Ready to get started? 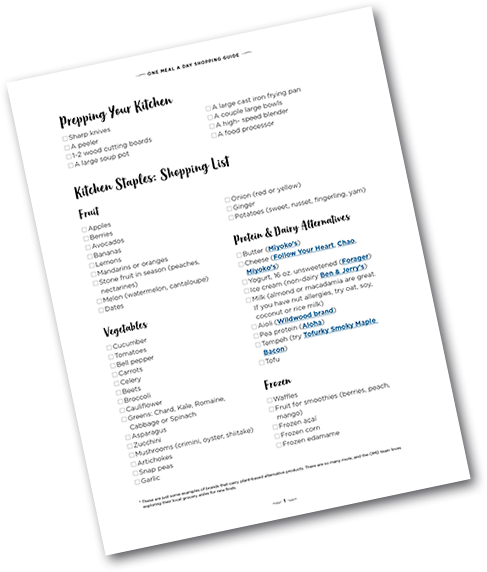 Download the list and take it with you on your next grocery run. The OMD Book: Your Definitive Guide to a Plant-Based Life. 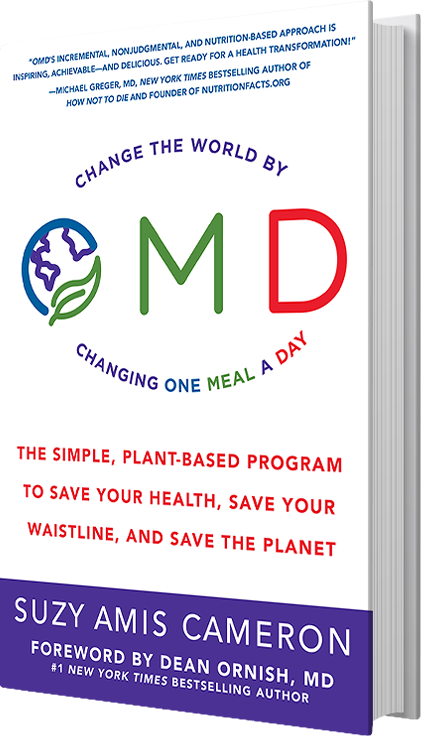 The OMD book is a companion guide to help you transform your health and the planet by eating at least one plant-based meal a day. The research is clear– reducing meat and dairy is a surefire way to reverse chronic disease and also take a bite out of climate change while also helping save endangered animals from losing precious habitat. Isn’t it amazing that what’s healthy for our bodies is also healthy for the planet? That’s why we call OMD a win-win-win. 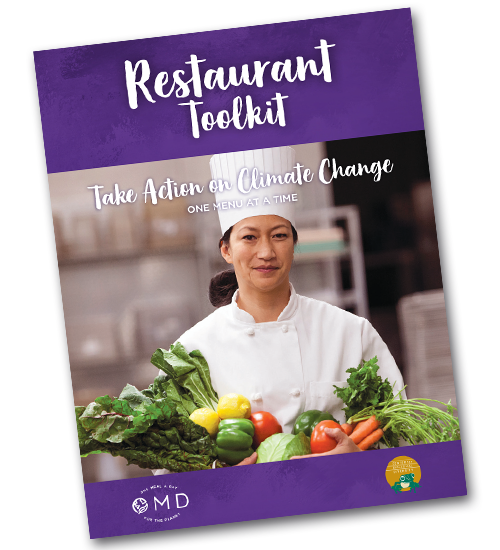 Order your copy of the OMD book for access to emotional support, Suzy’s favorite recipes, kitchen hacks, inspiring health makeover stories and hard science to back up this critical shift our planet and families need for a healthier, greener future. 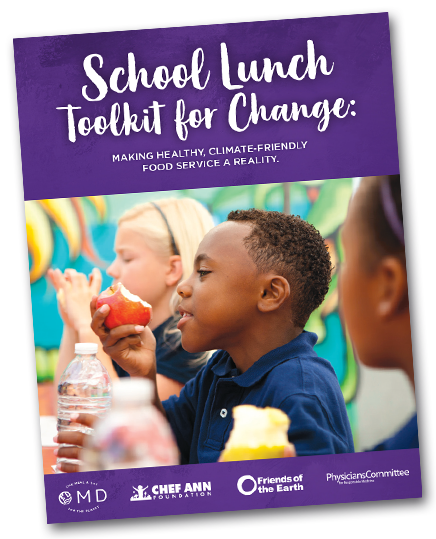 Our School Lunch Toolkit is your step-by-step guide to increasing access to plant-based foods in K-12 schools. Inside, there are template letters to your local Food Service Directors and School District Board, research and other materials to support you to advocate for better, plant-based food and non-dairy milk options. Bonus: when you download an OMD toolkit, our Engagement Manager will follow up to offer you one-on-one support! Community member, parent or student? OMD is here to guide you every step of the way. We’ve created a Restaurant Toolkit to support people like you to get more plant-based options on menus across the country. Once you download the toolkit, our OMD Engagement Manager will follow up and provide you with guidance and coaching. System change is a process, but it’s more successful — and fun — when done in community. That’s what we’re all about! Take action. To get the toolkit sent to your inbox, please follow the link below. Want a tip on how to make eating plant-based easier? Lean into meal planning — especially when you’re brand new. Having a roadmap is a huge help when you’re standing in grocery aisles, staring off into space, not knowing where to start. But don’t fret! We have you covered. What are you waiting for? Download this 7-day meal plan today! Show your friends and family that you’re ready to try OMD. Take the pledge and get a special Pledge Tracker to help support your shift toward healthier, greener living. Canning your favorite fruits, veggies, sauces and even soups or stews is an adventure in experimentation and a fun way to enjoy seasonal delights sustainably all year round. Busy parents are also going to love how canning saves time. Hungry little bellies craving out-of-season sweet nectarines or tangy clementines will be in for a treat if there’s extra stored away. And (if it’s canned) mom’s special marinara sauce can drench plates of spaghetti in the middle of the week when she doesn’t have time to whip some up from scratch. Get creative. 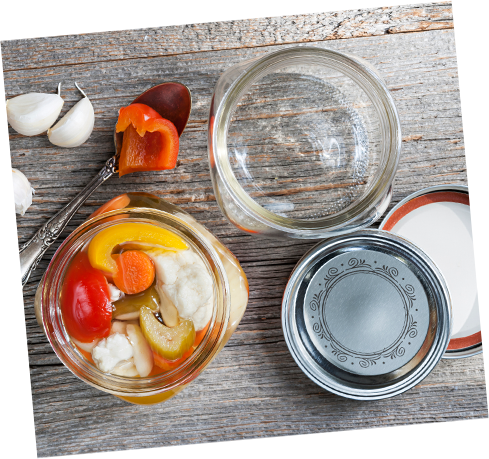 Check out more ways you can explore how canning can bring some fun and ease to your plant-based routine. We’re here to build community, hold your hand, spark yummy inspiration and support you in your foray into plant-based living. So, dig in, play and explore your way through the growing pains; celebrate your successes; and be kind to yourself when you stumble — we’ll catch you when you fall. Looking for more? Head over to read through some of our favorite OMD Success Stories or find easy-to-make recipes on the OMD Blog.